If you have questions or comments for us here at Deerhuntingbigbucks.com feel free to fill out our contact form. We would love to hear from our deer hunting big buck friends. I am interested in sponsor DHBB as I like the message from your site. I am looking to circle my company, Heated Hunts, with great individuals within the hunting industry. I am looking forward to hear from you. I have made a film about Taxidermy I thought your readers would like it. Let me know if you could mention it on your blog. I would like to personally congratulate you as your blog Deer Hunting Big Bucks has been selected by our panelist as one of the Top 40 Hunting Blogs on the web. I personally give you a high-five and want to thank you for your contribution to this world. This is the most comprehensive list of Top 40 Hunting Blogs on the internet and I’m honored to have you as part of this! I was reading one of your articles when I noticed you accept guest posts. If you still do accept submissions for guest posts, please let me know – I’d love to put together a draft for your review! I’m Interested in Advertising on Your Site! I’m writing to you because I’m interested in purchasing some space, I think it would be a great fit for both websites! I’m looking to do something native, in the form of content, as opposed to banner ads. Do you accept guest posts/sponsored posts? I can provide the content if necessary. Looking forward to hearing from you. Cheers and have a good day! Thanks for the inquiry Kristopher, right now I’m not really wanting to do more guest post. I recently made an exception and allowed a guest post and now I have so many request I’ve just decided to not do any for a while. I really do appreciate it though. My name is Samantha and I assist with the management of the Carhartt affiliate Program and I wanted to reach out to know if you are participating in any affiliate programs? After browsing through your site, we think that Carhartt would be a perfect for it. Established in 1889, Carhartt is a premium work-wear brand with a rich heritage of developing rugged apparel for workers on and off the job. Carhartt produces a year-round line of men’s, women’s and children’s clothing and accessories. Hey, just wanted to reach out to you guys. I’m currently trying to promote my Kickstarter, which is for a rugged wallet and thought you all might be interested in checking it out. We’re looking to launch it with a standard Camo and Black Kryptek pattern and hope to add more variety once we get going. If you’d like I’d be more then willing to send you a prototype. Just let me know if you’re interested. In the meantime, you can check out my Facebook and Kickstarter page if you’re interested. It has a lot of potential and I think your followers will like them. My name is Mark and I’m with http://www.archerychoice.com, a website dedicated to conducting unbiased and in-depth research on hunting products and services. We recently took a very close look at the hunting knives market and realized, somewhat to our dismay, that the vast majority of editorial knife reviews are factually false; the authors seem to eschew vital information about the products, not to mention they rarely do a direct comparison between different knives – a rudimentary practice in our book. We believe this can be dangerous to hunters who can end up with an inferior knife that can prove useless for their needs, not to mention leading to injury. As a solution to this problem, our team spent close to 4 weeks doing research and, with help from industry experts such as David Polczynski, selected the top 5 hunting knives on the market. We then bought these knives and ran them through a battery of tests, taking lots of pictures and recording videos to document our efforts. The end result is what we believe to be the most comprehensive and trustworthy hunting knives guide on the web. We strongly believe this guide is of incredible value to hunters everywhere and would like to inquire whether you would be interested in sharing our research on your website? Do your readers know what to do this summer that will guarantee them a better hunting season than last year? We all know that practice is king to improving your bow skills, but how can you make the most of that practice time? And what about some simple strength building exercises that you can do at home or how to turn your daydreams of hunting season into helpful steps to make the most of this season? I am contacting you to see if you might like to help us with a hunting product launch, perhaps with a blog post or shout out through your social media. We have lots of people interested in our new type of camo and with 10 days to go, we are 75% funded. Help us get to 100%! I know a lot of hunters follow you, so it would help us with some visibility. My name is Sally and I am writing because like many Americans, I come from a hunting family. It’s in my blood and is something we try to do every year. As part of that, we want to make sure we have the best equipment. Most recently, we decided to get new rifle scopes, so decided to test a few out. However, there’s a lot to choose from. As the Content Manager for a small hunting equipment site, I felt it important we cover the topic of rifle scopes. The guide reviews the 10 best rifle scopes including pros and cons of each one. I know you are busy, but you can check out the article here: http://www.10hunt.com/best-rifle-scopes/. Recently, I came across deerhuntingbigbucks.com and having read http://www.deerhuntingbigbucks.com/2009/11/18/deer-hunting-snow-day, I feel this is a subject you would like to cover. I am therefore more than happy to write a brief introduction or summary for you to put on your website. My name is Brenda. Having been your follower for a long time, I found that your contents are quite unique and I love them so much. Each of your posts helps me get various experiences and more knowledge in this field. That why I find them great. I sent you this email to express my big desire to contribute your blog. Do you accept guest posts or sponsored posts? In addition, I promise that I will provide you with a formatted document which included links. Therefore, you can copy and paste it into the WordPress directly. Thank you for your consideration. I’m looking forward to hearing from you soon. I’m a Marketing consultant at 8 circle media – a progressive marketing agency located in Los Angeles, California. Our client (SafeShoot) is a startup company that invented a safety device for professional hunters. We need a blogger/writer who collaborate with us and write hunting articles for our client. SafeShoot is an automatic system that provides warnings to hunters if they accidentally endanger a member of their hunting party, i.e. put another person in line of fire. The system provides a last-second alert before the trigger is pulled, without changing your hunting behavior. That device provides a high level of protection for any professional hunting party wanting to achieve safety and reduces hesitation before shooting. Their mission is to save people’s lives by assistance in preventing friendly fire. They aim to enhance situational awareness capabilities while hunting and among law enforcement agencies (in the future). You can learn more about our client and their product by visiting their website http://www.safe-shoot.com/ Please let me know if you are interested. I am reaching out on behalf of Elk Mountain Tents. We were wondering if you would like to become a 10% sales affiliate? Our unique canvas is both lighter and stronger than traditional canvas, and our approach to selling is to just provide all of the most requested features in the base model, which helps us keep the price low since we can avoid custom orders. I’m a big fan of Your site and particularly liked your post about ‘Deer Hunting Guide’. Great information about deer hunting for all hunters out there. I’m creating a blog post featuring the ‘Top 100 Hunting Blogs’ (which obviously includes you!). Please let me know if there is anything particular you’d like me to mention about your blog? PS. The post will go live on 1st August 2017. We are reaching out to see if you would be open to reviewing our new camo gear. Monster Camo is the new brain child of Robert King – creator and former owner of King’s Camo. Robert spent the last 5 years traveling the globe and doing relentless field testing and development to create what he feels is the highest caliber hunting gear and apparel. We are looking for the most trusted names in the hunting blogosphere to help spread the awareness for the new brand. Please let us know if you’d be open to connecting with us in this way. We recently published a book using the “Art of War” to interpret hunting strategy. Could we send you a copy of the book for potential review on your site? Thanks for dropping by Kyle. That’s some good looking camouflage you guys have. Sorry for taking so long to respond, my father has been very sick and I have just neglected the DHBB due to that. Let me know if I can help you guys in any way. Thanks again. I’m contacting you because of an expert interview article I’m putting together. As we approach the shed hunting season, there are many hunters who haven’t had much of a shed-hunting success previous years , and with your advice, I’m looking to help them turn it around this year. What are your top 3 shed hunting tips for those who haven’t been that successful in the previous years? The tips can be both general or more specific to your locale. Thanks in advance and of course I will give you a proper credit by linking up deerhuntingbigbucks.com and your social media. I would love to talk to someone about gear reviews and advertising opportunities. We manufacture Cobra Walkie Talkies and Motorola Outdoor Lighting solutions. I look forward to hearing from you. We enjoy your articles and think our customers would as well. Can you let us know what it takes to add your copy to our web pages. 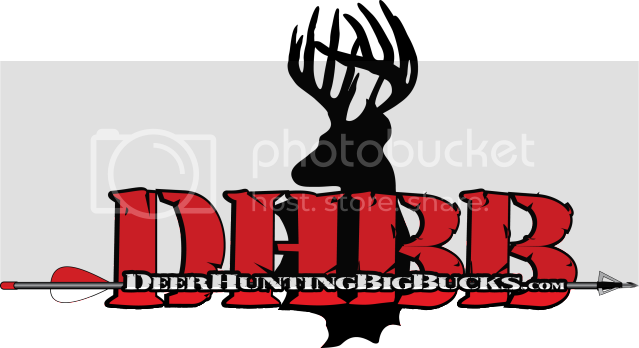 I looked through deerhuntingbigbucks.com and I was wandering if you are open to allow guest-posting or would be interested in advertising inquiries. I would like to know whether I can write a guest-post relevant to your blog. For the advertising inquiry, I am interested in sponsored content just to increase the awareness of my new blog in the outdoor industry. I am excited to hear back from you. Thanks for the inquiry Phillip! Thanks for the inquiry Don! Thanks for the inquiry John! Thanks for stopping by. The Hitch Hotel looks awesome! Thanks for stopping by Melanie!